What if your child was extremely bright, creative, social, artistic, “normal” in every sense of the word, but couldn’t read? Would you think they were lazy, stupid, unfocused or not working hard enough? What if your child who was once happy and eager to go to school, now cries, has anxiety and depression? What would you do? As a parent, your heart would break. But, you would find the courage and strength to advocate and fight to obtain the education your child deserves! It wasn’t until Second Grade that his teacher finally validated my feeling that something was not connecting. At that time, he received testing from his school and was diagnosed with dyslexia. This seemed like a relief. Now we knew what it was and could get him help. Yet, the school was unprepared to remediate and sought outside consulting. He began reading remediation at the start of his Third Grade year and continues to go to special education classes at our local public elementary school. They have attempted to implement a plan they believe is working. But, in my opinion and that of outside testing and experts, it is not. It is a continuous struggle with the school to have them implement an evidence-based program, taught by a highly qualified reading teacher. The Decoding Dyslexia movement was started by a proactive group of New Jersey parents. Their vision of a grassroots movement driven by motivated families of dyslexic children with a mission to raise dyslexia awareness, empower families to support their children and inform policy-makers about dyslexia is exactly what our States need. We need legislation to identify, remediate and support our dyslexic students, as this learning disability has flown under the radar for far too long. The quote below from 1963 shows how little progress has been made. The mission is one that has clearly resonated with parents across the country. The movement is growing at an astonishing rate. There are currently 35 states with a Decoding Dyslexia Chapter across the nation. You can visit www.decodingdyslexia.net to locate a Chapter near you. Decoding Dyslexia members are meeting and collaborating with professionals, therapists, teachers and policy-makers in their states. We aim to change the way things are done in schools by encouraging families to share their stories. Individual stories, when shared collectively, have an undeniable power and Decoding Dyslexia is encouraging families to find their voices. Now is the time for families across the country to speak up about dyslexia. There is currently a bi-partisan Congressional Dyslexia Caucus in place in Washington, DC. Congress will be looking to reauthorize the Elementary and Secondary Education Act (ESEA) and the Individuals with Disabilities Education Act (IDEA) in the near future and states are adapting to the new Common Core Content Standards. We need to ensure that discussions on improving literacy programs for dyslexics are included on all fronts. As parents we need to insist that the gap between research and practice is addressed! Together we can make a change for our children and for all children with dyslexia. I urge you to join Decoding Dyslexia and make a difference. My name is Allison Quirion and I am the founding member of Decoding Dyslexia-CT. I am the proud mother of two beautiful sons and an advocate for one of them whom is dyslexic. I feel fortunate to be a part of the Decoding Dyslexia movement. We as parents, educators, teachers and family members collectively can make a difference. Collective Voices – Heard as One. Just had my daughter diagnosed…finally by a neuropsychology and she is dyslexic…she flew under the radar far too long she is bright, social, creative and artistic! The school is clueless as to how to special tutoring etc. they are working with her which I am grateful but breathless at her situation and how we are going to beagle to dig deeper and really get her help. Just tapped into decoding dyslexia is chapter in WI but am anxious to join others and hear their ideas….I have seen and agree with everything you posted! Amazing how similar all the stories of dyslexia are. I never realized how many are impacted until I realized my son was dyslexic. 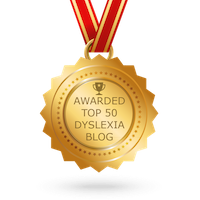 I have always kept my dyslexia secret until recently–so much shame is associated with it. I am now embracing and advocating for my son and all children who have dyslexia. We have started a Decoding Dyslexia group in KY as well. We will make a difference this must change.